There’s a reason why I still love to carry around a Moleskine notebook next to my Macbook, it just feels really good. Something about the physical experience of writing with a pen on paper makes me not want to go full digital yet. 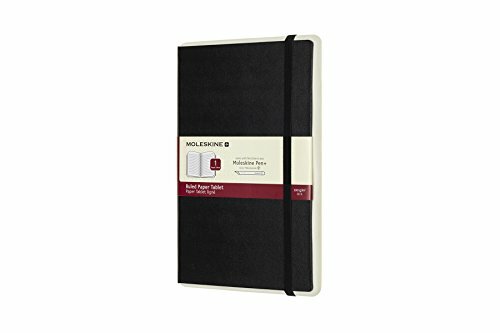 I was surprised when I found out there are actually Moleskines that connect to the cloud digitally to store your analog notes. The Moleskine Smart Notebook contains specially marked pages that help to convert your notes and drawings to digitalized versions. You’ll simply download a special Moleskine app on your phone and snap a picture of the page you want to turn digital. The app vectorizes your page and turns it into SVG, ready to be uploaded to Adobe’s Creative Cloud. The Moleskine Smart Notebooks are available on the official Moleskine website or on Amazon via the link below. You’ll pay around twenty bucks for a black version. WITH NCODED TECHNOLOGY: Invisible Ncoded technology embedded within each page enables the Moleskine Pen+ to recognize where it is within the notebook and to transfer all your freehand notes from page to screen in real time via the Moleskine Notes app.